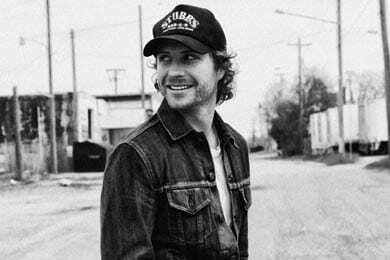 Dierks Bentley’s sixth studio album Home hits stores tomorrow (Feb. 7) and he’s been ratcheting up his visibility to support the release. Following his lauded sold-out performance last Thursday night (Feb. 2) at Nashville’s Ryman Auditorium, he will kick off release week by making the media rounds in New York and Los Angeles. First up, Bentley will make consecutive performance appearances today (Feb. 6) and tomorrow (Feb. 7) on NBC’s Today. He has a New York concert date scheduled for Feb. 8, and that same day he will play a song for The Late Show With David Letterman‘s evening broadcast. He’ll also be delivering a full set for the show’s Live On Letterman webcast program. Bentley will wrap release week and begin the next on the West Coast when he appears as a presenter on the 54th Annual Grammy Awards Feb. 12, and performs on The Ellen DeGeneres Show Feb. 15. After his Ellen appearance, Bentley will fly straight to the first show of his 2012 Country & Cold Cans Tour in Vancouver, BC.